SoftPlanet makes it possible for everyone to get free FotoTube download directly from our servers. There is no registration needed for downloading. 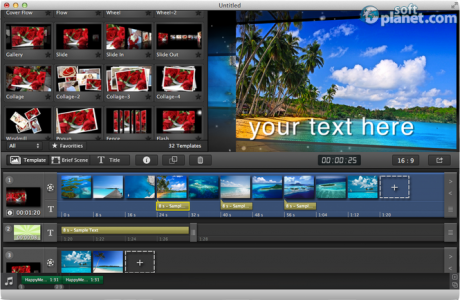 FotoTube 1.4.5 is a shareware application which can be used to create beautiful slideshow presentations from your personal photos or an excellent video clip with music and text effects. All that is possible along with 44 templates and 22 scenes which are a good start for every beginner. The main purpose of this software is to be as easy as possible so you won't waste any time to achieve your goal. Only three simple steps are required to produce your creations and later share them with your friends, family or everyone who is online. 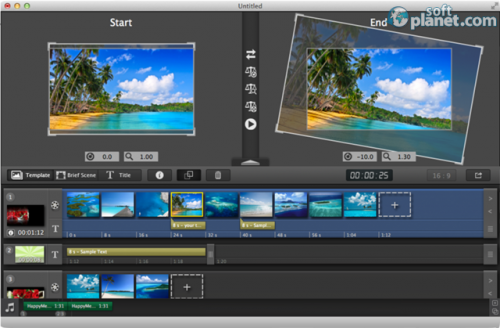 FotoTube has simple, but powerful editing features and also built-in audio and video inspectors which can be used for previewing and editing the sound and the video of your compilation. The audio file can be faded in or out and trimmed to your desire. 3D motion can be used which brings more visual impact to the presentation, titles and backgrounds can only enrich the overall look of any video clip. The user interface is designed to eliminate any confusion while you work and this is mostly because everything looks like it is in its place. All templates, backgrounds and text effects are visualized in the upper half of the program where you can pick the right one you need. The timeline of your current project is underneath and this is the most convenient way for anyone to edit the transitions or to add effects at any place. If you feel like you are ready then the output format can be chosen among all Apple compatible devices and even more – you can easily upload your product to YouTube almost instantly. The resolution, quality and format of the presentation can be chosen among the offered ones and it is possible to use a custom one. 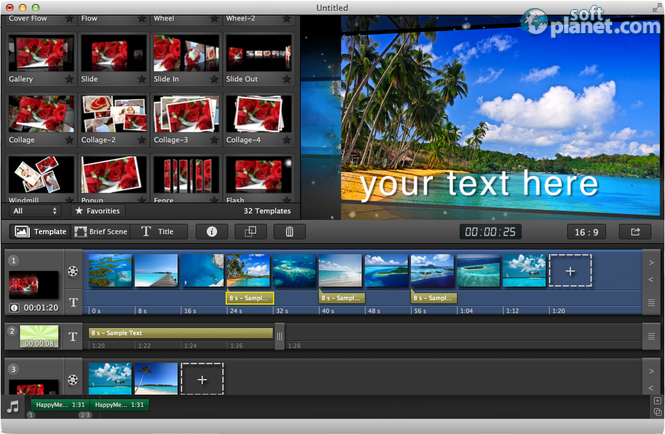 The trial version of FotoTube 1.4.5 adds a watermark to the final video, so to eliminate that you can purchase a valid license for $49.95. Anyway, it is a decent program with a very nice interface and with simple but enough editing features. Try it for free and if you like it – refer it to your friends and start competing together for the best homemade slideshow. Our security scan shows that FotoTube is clean from viruses. The current version of FotoTube has been scanned by our system, which contains 46 different anti-virus algorithms. That ensures that FotoTube 1.4.5 is 100% safe for your computer.